DID Peter Postlethwaite pick a good day to die? The actor Stephen Spielberg called “the best actor in the world” is front-page news. But in life he was never so lauded. Aldous Huxley and CS Lewis died on the same day as President John Kennedy. Only one of them hogged the headlines. Pete Postlethwaite is on the front page of the Times. The paper’s obituary pages feature him and two others: Air Commodore John Sworey, a RAF war-time “figher ace” and test pilot (a job for the courageous), and Chief Anthony Enahoro, a leading Nigerian politician. 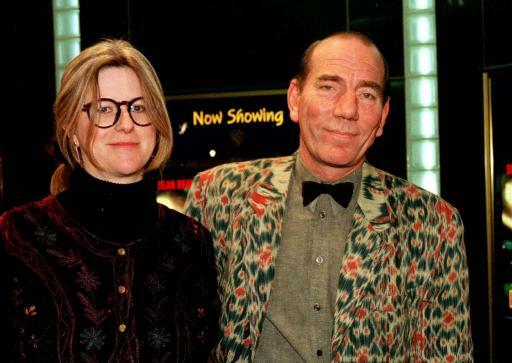 When Saturday Comes star Peter Postlethwaite and partner Jaqueline Morish pose for photos at tonight's premiere of the film in Sheffield.